Working closely with clients and agencies, we create award-winning exhibition stands. Our complete service offers design, project management, production, storage, transport and installation throughout the UK & Europe. 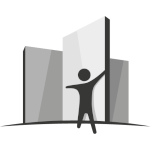 Our experienced Operations Team has built a reputation for outstanding service, from event brief to on-site support. We ensure events are successful, on time and on budget through professional partnerships. An approved range of tailored options including portable stands, graphic walls, modular solutions, display board hire and accessories. 35 years’ experience guarantees the perfect solution to your brief. Established in 1980, Exhibition Services is the leading exhibition supplier to companies and organisations specialising in pharmaceutical, healthcare, technology and education. Our dedication to customer care and innovative stand design has enabled us to partner with a number of recognised industry brands, many of whom are now long-term clients. We offer the ultimate, flexible service and adapt to our clients’ needs as their event requirements grow. 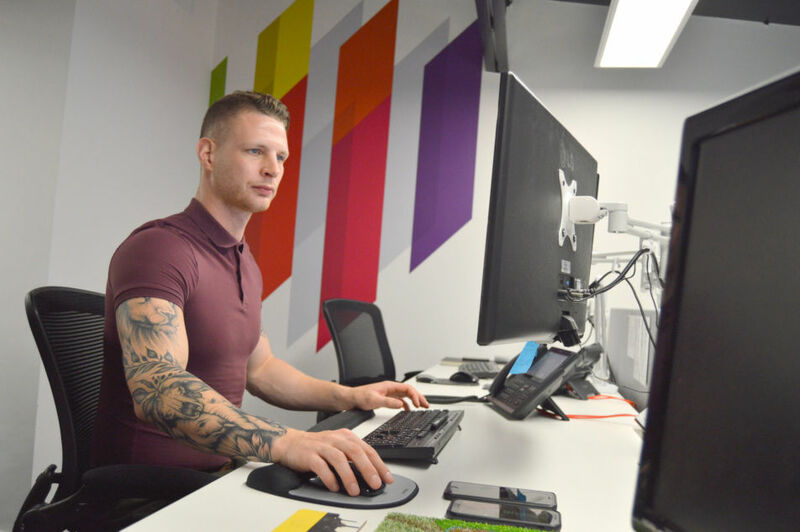 From a highly creative CAD design team to NEBOSH/IOSH qualified event managers, we have the knowledge and experience to make your event happen – all delivered by a dedicated, friendly and professional team who really care about the success of your event. A snapshot of the past 12 months at Exhibition Services. We work hard, play hard and love our tea! 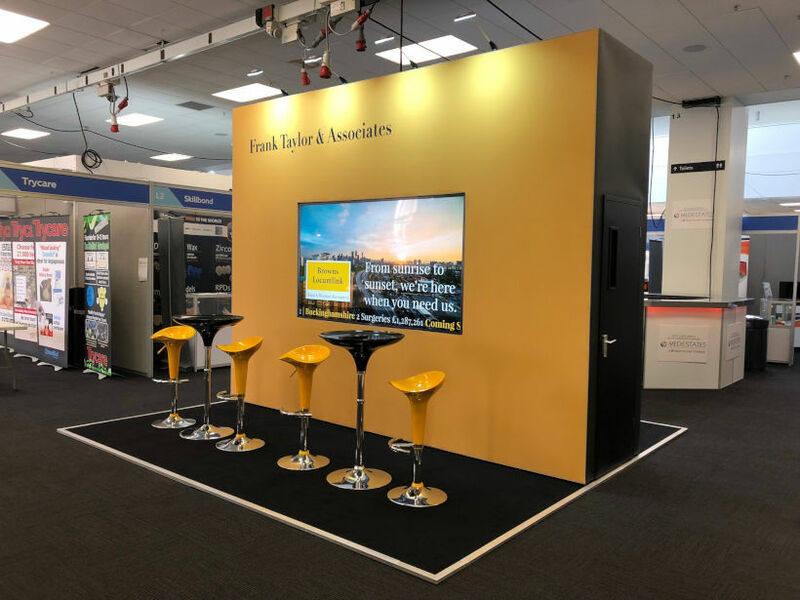 Frank Taylor & Associates approached Exhibition Services in 2016 looking for a solution to the increasing custom-built stand costs they were experiencing. With a growing number of exhibitions to attend, their stand needed the ability to be refreshed and reconfigured while maintaining a consistent brand feel. For over 20 years our Event Services team has supported the British Association of Dermatologists with organisation of its Annual Meeting and every year has presented fresh challenges. This year, it was Edinburgh’s turn to host the Meeting at the EICC, with the venue spread over 4 floors and 2 exhibition halls. The challenge was to devise a floorplan where footfall was maximised across both exhibition halls, ensuring all exhibitors had an equal flow of delegates. 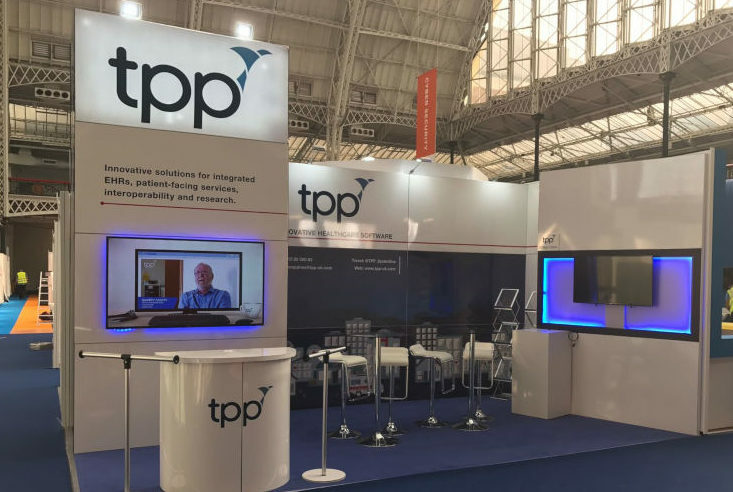 At the beginning of 2016, The Phoenix Partnership (TPP) asked us to create a custom modular stand to use across their programme of events. The modular system we proposed was beMatrix and the custom look of the designs, combined with the benefits of purchasing a stock of modular system, proved a winning formula.